Living in Grace: 3/1/12 - Way Cool Camera! 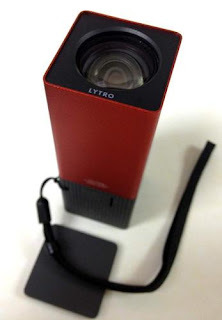 3/1/12 - Way Cool Camera! This post is for all my photography friends. I heard about this new camera on NPR this morning and just had to share it right away. It is an incredible innovation and supposed to be THE next line of cameras. We shall see. I know I sure would like to have one, but I'm saving up for an RV. A girl has to have her priorities, right? Still with this, maybe my furry babies would quit complaining about the fuzzy pictures I take of them all the time. LOL. You don't have to focus. Focus is done in the picture; after the fact. According to NPR, the camera captures light and uses it to focus on whatever you click on once the photo is downloaded. If you go (here) to the NPR website, they have downloaded pictures you can play with. Every time you click on the photo, it literally refocuses the picture. Try clicking on the camera phone in the jam session pic. You can literally make out the guys face while the rest of the picture blurs. Then click on the orange clock on the bookshelf (or anything else). The focus changes. Same thing with the picture that has a sign in front of picnic tables. Click on the sign and then the lunch bag on the bench by the guy in the back of the picture. Amazing! (Here) is a review by DPReview. Are you as blown away as I am? I still remember being dazzled as a little girl by the instant polaroids. LOL. I know you need a real camera. Your pics a too red. Kisses from Belgium, Piuok and I. Too red? Oh, come on Patrick - you gotta do me better than that! How on earth would I go about fixing the "color" that my camera takes pics with? And yes, I'm sure there must be a way, but don't leave a girl dangling. LOL. Girls have always priorities. I'm also a fan from NPR. Don't no why, just love this station.